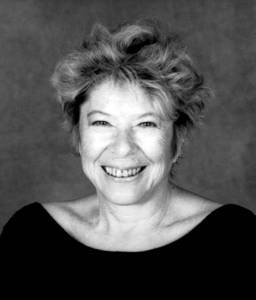 Best selling author and feminist scholar Marilyn French is the author of such notable works as The Women’s Room, Her Mother’s Daughter, and The War Against Women. In 1998, French released A Season in Hell, a memoir of her victory over esophageal cancer. It is a story both of personal anguish and triumph. Born in New York in 1929, Marilyn French received a B.A. at Hofstra College (now University) in 1951, receiving her M.A. in 1964. Between the years of 1964 and 1968, French was an instructor at Hofstra University; she continued her studies at Harvard University after divorcing and raising two children, and received her Ph.D. in 1972. From 1972 to 1976 she taught at the College of the Holy Cross in Worcester, Massachusetts. French has also taught at Harvard University and contributes to a wide range of literary journals. French started seriously writing in 1957, but her first book, a thesis on James Joyce entitled The Book as World: James Joyce’s Ulysses, was not published until 1976. The book was followed a year later by The Women’s Room, a novel widely regarded to be a classic text of the women’s movement, which was eventually translated into twenty languages and made into a television movie in 1980. French’s second novel, The Bleeding Heart, followed in 1980, and her non-fiction scholarly work, Shakespeare’s Division of Experience, was published a year later. Her Mother’s Daughter, a story about four generations of women and the bond between mothers and daughters, was released in 1987, and The War Against Women, a shocking and fascinating analysis of the history of women’s political, cultural, physical, and economic repression appeared in 1992. French wrote two novels, 1995’s Our Father and 1996’s My Summer with George, before releasing A Season in Hell in 1998. Named after the symbolist poet Rimbaud’s prose poem about his own tortured life, A Season in Hell recounts French’s long journey through aggressive cancer treatment. French, a smoker for 46 years, was diagnosed in 1992 with metastasized esophageal cancer. She spent the better part of the 1990’s in an ongoing medical crisis, as she underwent aggressive concurrent chemotherapy and radiation; survived seizures; developed arthritis, recurring kidney infections, and diabetes; broke her back three times because her spine was weakened from radiation; and came through a six-week-long coma. In her memoir, French also recounts her many difficult run-ins with health care professionals who offered no hope and less compassion. Among them were included; a physician who told her not to get her hopes up when her tumor disappeared, and a neurologist who said, “Doctors hate writers; they always say horrible things about us.” However, she notes her appreciation for the many helpful nurses she encountered along the way, and for the extraordinary support given to her by her grown children and a large circle of close friends (including Gloria Steinem). [damaged] by chemotherapy or radiation,” French conquers cancer with her dignity, courage, and fighting spirit intact.